SIHF 2019 Sign-Up Is In Full Swing! The Summer International Health Fellowship (SIHF) is a four to eight week immersion and service program designed for undergraduate students pursuing health professions and recent graduates interested in medical school, nursing school, or physician assistant studies. First and second year medical students are also welcome. Participants will gain a unique perspective into global health through the SIHF program structure that includes: clinical exposure, community outreach efforts, as well as the completion of a SIHF project. The fellowship is unique in that it is a long-term experience with a cohort of students with similar interests in careers as physicians, physician's assistants, as well as nurses and global health professionals. Fellows are paired together for program activities and are able to network and share their own experiences and goals. In contrast to our shorter programs, SIHF’s immersive nature gives you a chance to form lasting relationships and view an underserved population from within. SIHF provides not only a valuable experience for resumes or medical school applications or to obtain clinical observation hours for graduate school requirements, but will also expand your knowledge and perspective on global health and sustainable community development programs. Fellows will have the unique opportunity to experience the local health system both public and private through extensive clinical observation time in FIMRC clinics, health posts, and/or partner medical facilities. During clinical rotations, Fellows will learn about the region's top diagnoses and common treatments. Fellows will also have the opportunity to improve upon clinical skills such as taking blood pressure, measuring blood glucose, and performing developmental assessments. Outreach and education initiatives include home health visits, delivery of health education sessions, as well as health related data collection used to monitor and evaluate ongoing programs. Based on current community needs, fellows will work alongside staff to provide long term sustainable solutions to the unique health challenges presented in each community. As such, community outreach initiatives vary by location and time of year. For the duration of each session, fellows work in small teams to implement a project that addresses a current community need. Past projects have included: development of a first aid training course for local health workers, data collection and mapping in native communities, creation of health education resources, and planting organic community gardens. Field staff will assign projects based on educational background, interests, and skills. Project assignments are reviewed during fellowship orientation. The program is divided into two 4-week summer sessions. Participants may choose to participate in one or both sessions. The cost of your program includes housing, airport pick up/drop off, transport to fellowship activities, meals (# of meals dependent on location), as well as a program donation that supports our project sites. Excursions and trips for non-volunteer related activities as well as the associated costs are the responsibility of the volunteer. Airfare is not included nor your medical evacuation insurance. For specific information regarding accommodations, please visit each project site's volunteer page included above. All program donations are tax-deductible, and go toward the cost of providing high quality patient care and medications at all of our project sites, while maintaining the staffing and infrastructure necessary to provide quality volunteer experiences for our program participants. SIHF rates are significantly discounted from our standard per-week rates in order to make a long term experience more financially accessible. To learn more about costs, visit here. To begin, please fill out the enrollment form by clicking on the "Sign Up Now" button above or the "Join SIHF" button below! A FIMRC team member will be in touch with you shortly after with next steps and additional information. Please note that we strive to provide Fellows with a unique and well-rounded experience through incorporating extensive clinical exposure, public health initiatives, as well as independent projects developed and implemented throughout the fellowship. Each of SIHF's locations works to develop a unique itinerary based on enrollment, available opportunities and most importantly, ways in which Fellows can help address the needs of the community. Detailed itineraries are given during fellowship orientation. India: Fellows will be based out of our rural clinic and partner hospitals allowing for a unique view of primary care and more advanced cases. Participants will have the opportunity to work alongside medical staff in our clinic and pharmacy, thus developing relationships with community members and patients. Fellows will also conduct rounds with medical personnel in our partner hospitals and work closely with the project site team on public health initiatives such as preventative care for children in local crèches. Peru: Fellows may choose between our sites in Huancayo and La Merced. Fellows will learn about the Peruvian medical system in substantial depth by performing rotations alongside Peruvian medical students and physicians. Fellows will also host mobile health campaigns, lead health education sessions, and support ongoing health improvement programs in rural communities. Dominican Republic: Fellows are based at our project site in Restauración allowing for exposure to the Dominican healthcare system both in government run clinics and local hospital. Due to Restauración's rural location, many families do not have access to medical care. Fellows will have the opportunity to plan and execute medical brigades to remote areas to provide care for families with little to no access. Project work will also include unique education initiatives such as community wide health fairs and nutrition lessons. Uganda: Fellows will work at our clinic in Bududa, Uganda alongside our medical and outreach staff. Participants will have the opportunity to work in our clinic rotating through our innovative station system, as well as with our health education groups in the community. The combination of clinical and outreach activities provides a real glimpse into healthcare and the challenges faced in Bumwalukani. In addition, all fellows will have opportunities to work with our outreach programs such as the Post-Test Club for HIV+ patients or the Orphan and Vulnerable Children Program. Philippines: Fellows are based at our project site in Cavite allowing for exposure to the province's numerous rural clinics. Fellows will have the opportunity to learn directly from local medical students and residents. Project work will include supporting Barangay Health Workers with local house visits as well as leading sessions as part of our diabetes education program. Fellows also have the opportunity to spend time rotating through health centers in Manila. “My best memories from La Merced involve working with the local children. 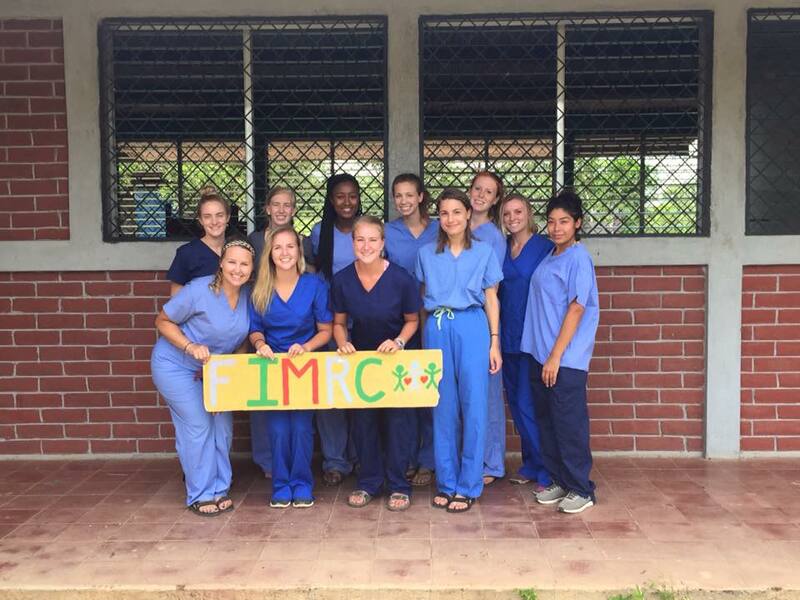 From teaching them first aid to communication skills, you can see FIMRC’s positive impact every time you engage with the community.” Stephanie Villalta, FIMRC Alumna and Medical Assistant from San Francisco weighs in on her time serving at Project La Merced. "It’s a very surreal moment when you get to introduce people to something you are passionate about and then in return see them reciprocate those same feelings." Holden Camp, now a junior at Auburn University, served as a 2017 Summer International Health Fellow in Nicaragua. He recently helped organize another trip; this time to Project Alajuelita in Costa Rica, and with a group of other students from Auburn University. New year, new opportunities to travel! 🗺 Learn more about all the different ways you can satisfy your wanderlust and help improve access to health care for children and families around the world. Volunteer responsibly, with FIMRC! My experiences in La Merced helped shine a light on my true calling and gave me the confidence I needed to be open to changing the career path I had originally laid out for myself. Every week, I visited a nearby mountain community called Shawan Rama. We would always arrive to an empty and quiet place but, after a few minutes, the children would come running up to greet us, eager to learn something new and participate in a fun activity. I fell in love with this special group of children.